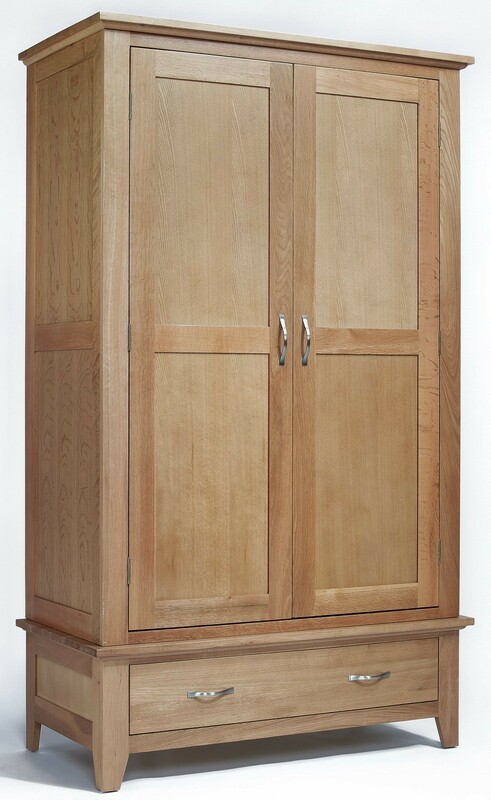 With ample room for both hanging and folding clothes, this oak wardrobe is great for additional storage. 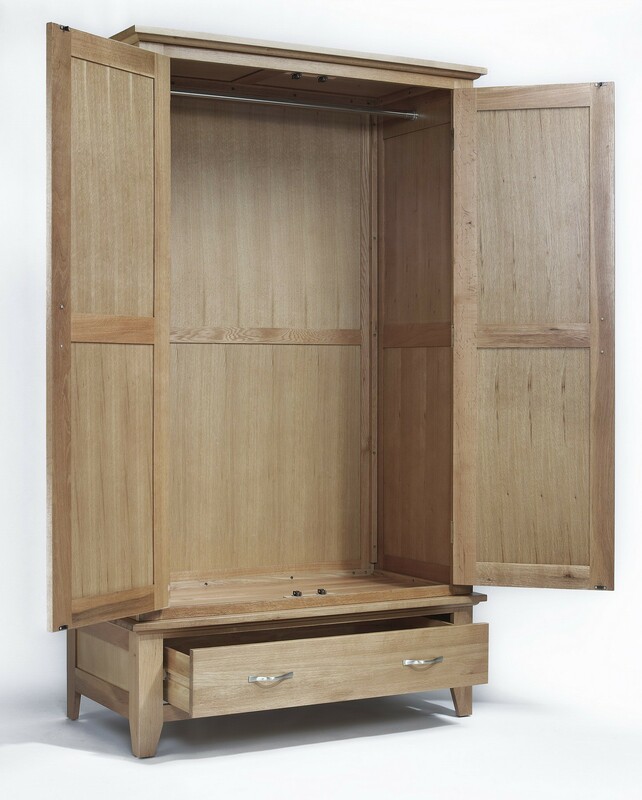 The wide drawer,with dovetailed joints, offers a generous amount of space for folding smaller items of clothing, whilst the hanging space is tall enough for dresses and full suits. The frame is crafted from solid oak, for a long-lasting, durable piece, whilst the interior benefits from real oak veneer panelling. The surface of the wood is protected from light bumps, knocks and scratches by a coating of natural lacquer, which also works to enhance the natural colouring and patterns of the light oak. Light oak features an array of brown and gold hues, which are calming, relaxing and fit perfectly into any room with a light or neutral palette, theme or decor. 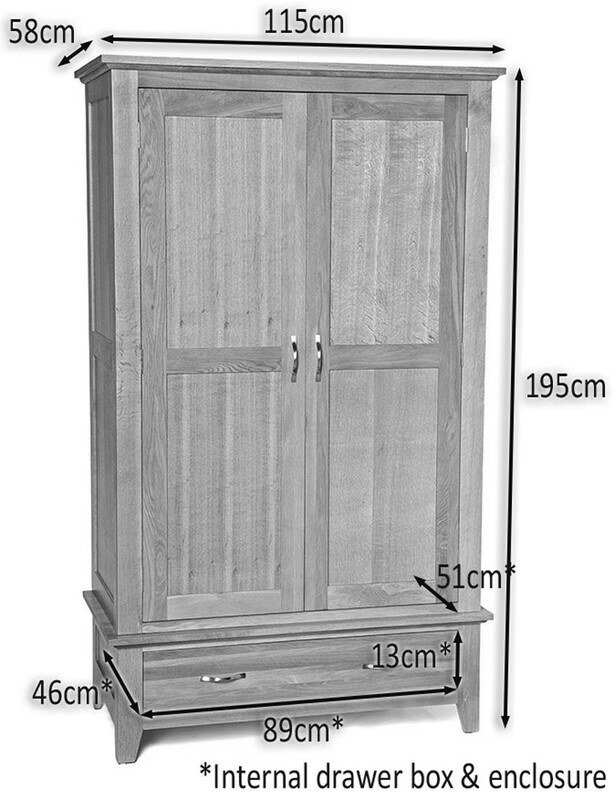 Making this piece the ideal fit for bedrooms of all ages and style. Durable, real oak veneer panelling adds to the structure for extra peace-of-mind.